The relationship between the family members is mostly an unspoken one, often viewed through Jack’s very observant and impressionable eyes. 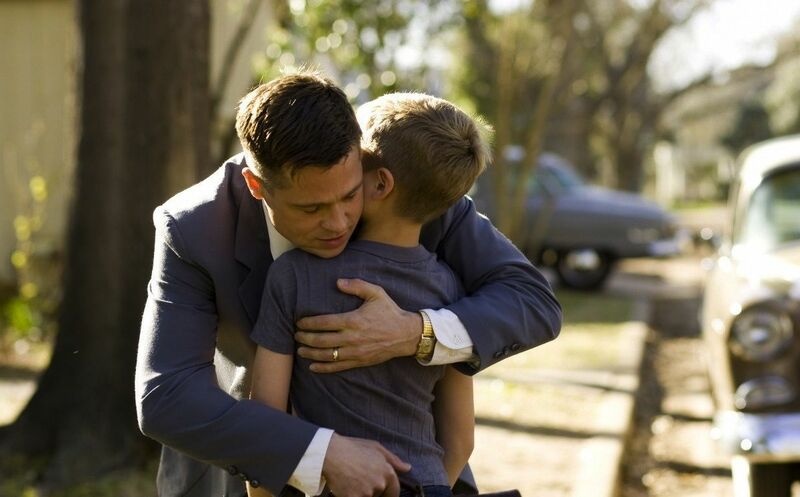 The physical reactions and body language of one to another do most of the talking, especially around the strict patriarch Mr. O’Brien, in a minimalist but powerful performance by Brad Pitt, who shows vulnerability behind a thick facade of strength and poise. Pitt’s character is a man of contradictions, who demands the impossible from his children even when he’s not the best at setting the example. We learn, as the film progresses, that the disciplinarian and often unfair way in which Mr. O’Brien raises his kids stems from his dissatisfaction as a man, unable to find happiness in the many gifts life has given him. His wife, played by the radiant Jessica Chastain, is the total opposite. She appreciates life with all the good and the bad, from the way the water drips down her skin to the joy her children give her. Both parents share a belief in God and religion, though they both have conflicts about the mysterious ways of God and often question their devotion, especially when one of their teenage sons tragically dies. The film is by no means linear. It begins when both parents find out about their son’s passing, all told by a collage of imagery that is accompanied by the saddened narration of Jessica Chastain. Soon after, the film introduces the older brother as a grown man working as an architect in Houston. He wakes to the memory of his long lost brother whose passing he commemorates by lighting a candle inside his luxurious home. This is a sobering beginning, marked by a sense of melancholia so raw and so personal that it is only appeased by the beautiful quality of Malick’s pictorial orchestration. Once the family has been introduced, Malick becomes sidetracked. He chooses to explore the origin of life through a pictorial feast that covers, in a few minutes, millions of years worth of evolution, from the depths of the Universe and the beginning of time, passing by the Jurassic period until it comes back to Jack’s conception, the oldest son of a young and beautiful Southern couple. 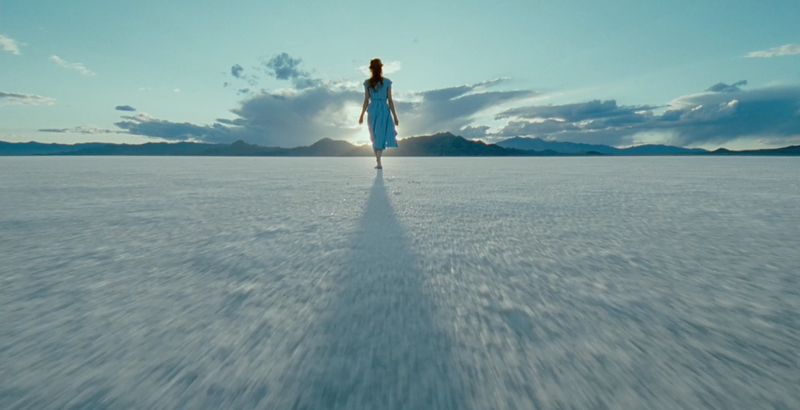 On its own, the sequences enhance an already impressive visual experience and set The Tree Of Life apart from most films. The influence of 2001: Space Odyssey in terms of style, theme and construction was hard to ignore. While the film offers perhaps the most elaborate collection of imagery ever put together in film, it comes off, as a whole, as a bit pretentious and unnecessary. 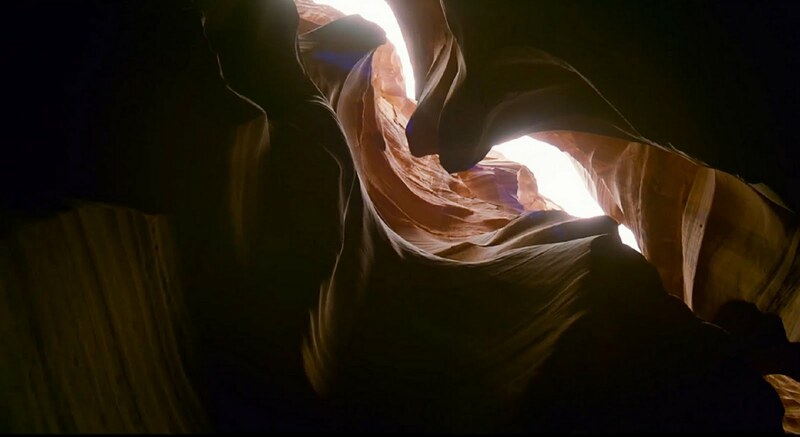 In essence, The Tree Of Life’s visual eccentricity masks what is, in reality, a rather simple film. Malick uses a family as a sample, one that happens to mirror much of his own experiences as a child in the South. Through their joys, values, imperfections and sadness, he begins to explore life itself as a gift of improbability, one that should be appreciated despite all of the tribulations one might face. With a powerful score dominated by beautiful classical pieces, Malick’s film believes there is a God or, at least, the presence of a higher power that offers just enough comfort to overcome all sorrow. Malick never imposes his very particular spiritual view, one that he merely suggests as an option, one that we may end up believing after watching this film. The Tree Of Life is that powerful and that beautiful, a film celebrating life by examining death and our spiritual connections, a lesson about the potential of film. Every time I read a review for this film I’m alway blown away by how much people are getting from this film. Me personally, I found it frustrating, overly pompous and knowing of its own superiority. But that’s just me. I can see what Mallick is getting out of this film, but I couldn’t get into it at the same level. Really did enjoy reading your review and your interpretations. Does make me wonder if I should give this another go. But then I remember how much I disliked it the first time around. Hey..a vastly superior film of Malick’s is Badlands, perhaps because it is his most linear but also his least abstract and introverted – he still loves emptiness and minutiae but it is used more conventionally and therefore more approachable. Personally I loved The Thin Red Line which might be thought of as blending the imagery of Tree with the structure of Badlands. Definitely a second or third screening of Tree might help or solidify what you already feel – repulsed. I can’t say I disagree with you when you suggest The Tree Of Life is “pompous and knowing of its own superiority”. I believe Malick’s oeuvre supports your claims. The film is definitely pompous, sometimes even self-aware, frustratingly slow and strangely constructed. My rating and my overall impression of the film do not suggest I consider it close to being a perfect piece of cinema. In fact, if I were to exclusively rate it when compared to perfectly groomed and crafted classics like “Schindler’s List”, then the film would certainly lag well behind. There is just something incredibly moving, real and transcendent in The Tree Of Life. I felt I had grown by the end of the film and I quite couldn’t put my finger on why I felt this way. It is one of the few pieces of cinema that, despite its ambition, felt incredibly personal, as if it was an extension of Malick’s soul. I literally felt the sorrow in Sean Penn’s character, and I gathered the frustration of Pitt’s character, and all of it was done without much dialogue, mostly through body language. This is not to mention the exquisite quality of the imagery presented to us. Almost every shot was a cinematic painting, showing the incredibly talent of a director capable of making every single shot count, turning nature, even in the suburbs of Texas into Heaven on Earth. Just for that, The Tree of Life is superior to most films I would ever have the pleasure of watching. Beautiful review, Niels. “The Tree Of Life is one of the most challenging films I would ever have the pleasure to review” I feel the same way as you, I appreciate the film though I also find it a bit tedious. It’s fascinating how varied people’s opinion is about this film and its inherent spirituality is likely to inspire or baffle people, but I think it’s an excellent work to be sure and one that stands out from the pack for its beautiful simplicity and spectacular visuals. I subscribe to the worldview that there is indeed a God whose thoughts/ways are much, much higher than any of us could comprehend, but yet loves us unconditionally. I appreciate this film for exploring that subject, without being preachy obviously. I’m glad to have finally seen this film, even though it took me quite a while to do so. The spirituality and the visual delivery definitely won me over. Sure, it can be dull, in fact, it’ll probably feel really slow the next time I watch it. Very little re-playability. As for God…I’m on your side. I believe there’s “something” that’s beyond our comprehension, a creator of the Universe if you will. Religion doesn’t even begin to offer a satisfying explanation to any of it. I tend to gravitate to well-made films. Whether they are character-driven or experimental, I find something fascinating in any genre and any film as long as they have something interesting to say, or they are interesting to look at. A lot of the time, the story is strong enough to speak for itself and the director must just do it justice. Other times, the film’s plot is paper thin, or very vague, and the director becomes the key. I appreciate The Tree of Life and what it tries to explore and how it does it. I especially love when films feel very personal despite the visual eccentricity this one has. Thank you for your very kind words. I’ll definitely stop by your blog. A really thoughtful review, with some excellent points made. And to think, I only read it because I also got spammed by “Alyson”….! This is a beautiful-looking film that took me by storm, as soon as it’s story really began to kick in. In fact that’s probably my only complaint about this flick is that the story doesn’t really get itself going until the 1-hour mark. But once it does come in, it’s just about perfect for me. Great review. Tree of Life is not for everyone, but I left the theatre with a calm feeling that I have never experienced before, and the images, music, and that feeling of taking me back to being a child again, placed it in my top 5 of 2011. I think its so open to interpretation that each person can take whatever they want to take from it. Cinematic poem, yes, or even cinematic church is a phrase I heard used. Critique I’ve heard is that some don’t need the movie to appreciate nature.There are a few scenes that seem to go on too long of the birth of the universe, but I definitely think overall it’s a modern masterpiece. Good news for fans of the director, Malick has got several projects in the pipeline! I agree that Tree of Life is both simple and challenging, a rare thing for a film?